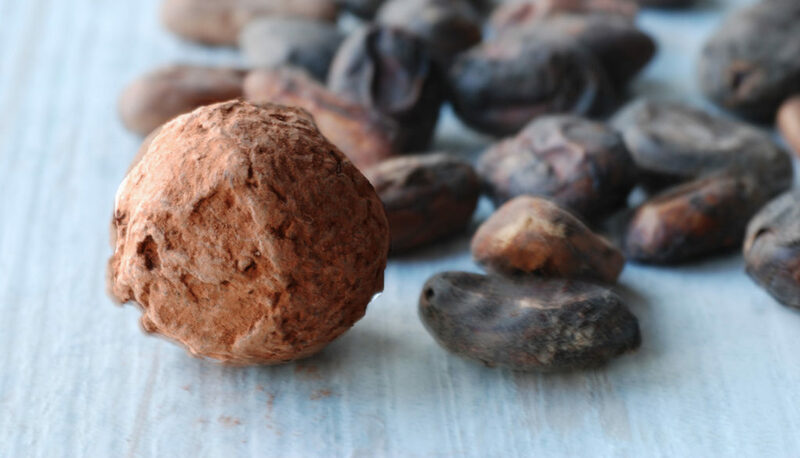 A father and son united by the same passion and desire to make chocolate according to the old recipes of the chocolatier tradition of Perugia. 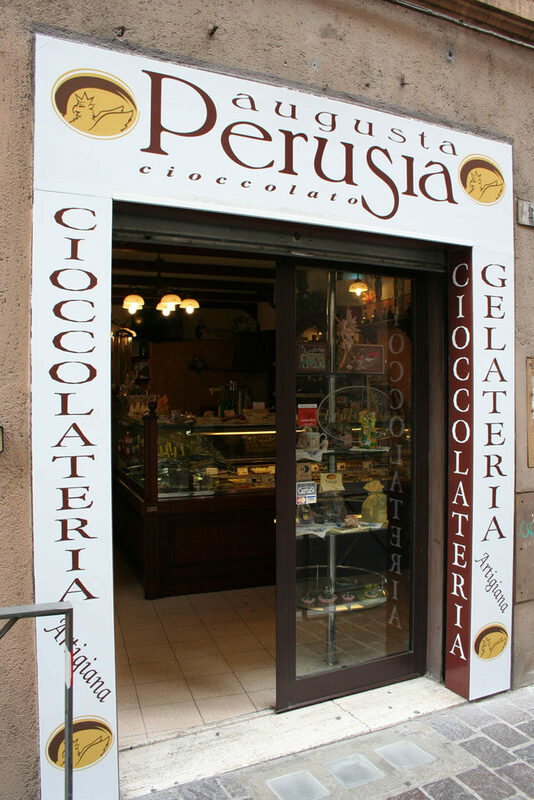 this is the beginning of the Cioccolateria Augusta Perusia story. 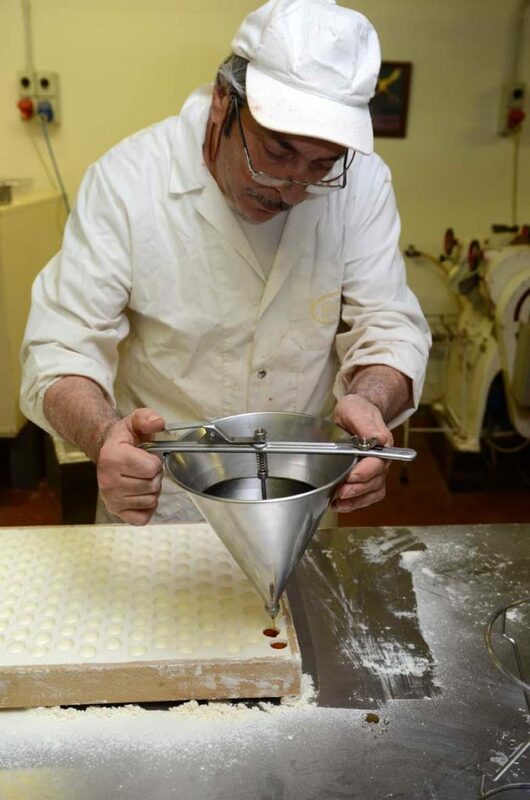 Giacomo, the father, was passionate about it in the early 70s at the Perugina chocolate factory. 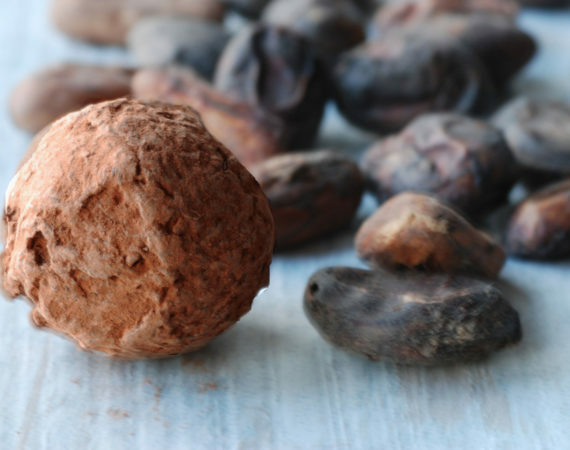 There, in the workshops of the factory that made Perugia and its chocolate famous all over the world, he met figures like Buitoni and Spagnoli and learnt the techniques and secrets of artisanal chocolate production. 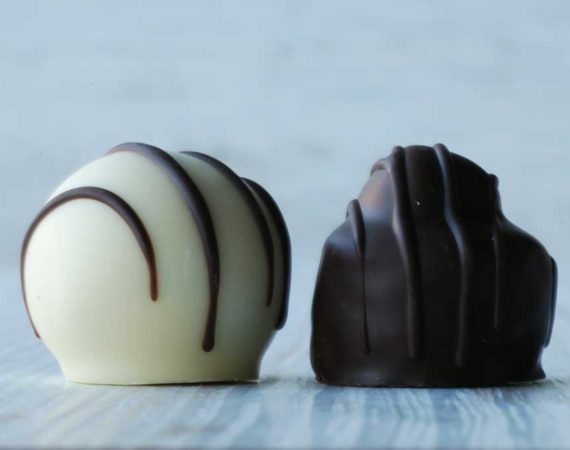 The techniques and secrets that, in the 90s, very nearly risked disappearing. 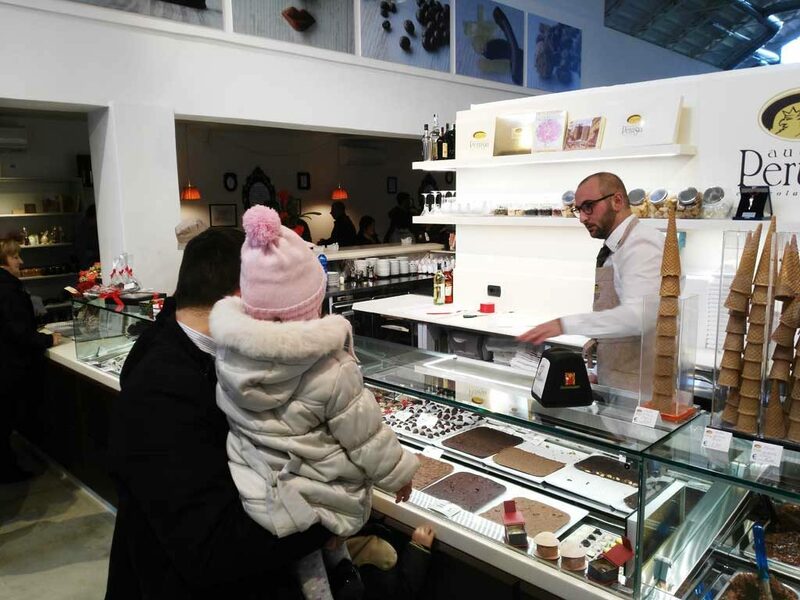 For this reason, in the autumn of 2000 Giacomo Mangano and his wife Rita decided to take a new direction and make their dream come true: opening an artisanal chocolate atelier in the heart of Perugia and giving the city the kind of chocolate that used to be made in the past. 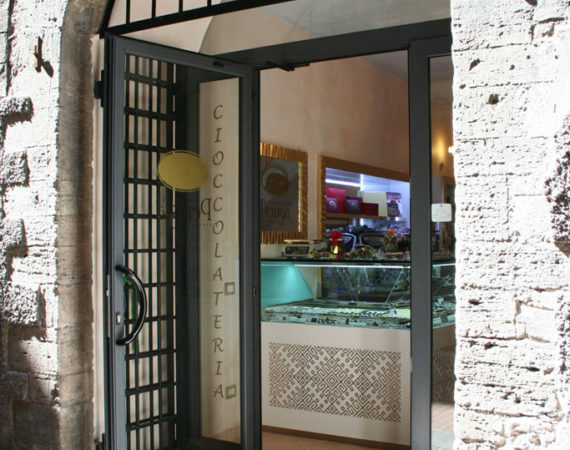 The first Augusta Perusia chocolate atelier was opened in via Pinturicchio, one of the most picturesque corners of Perugia. 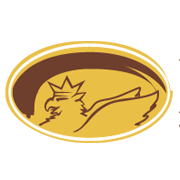 Although small, it is a charming spot located where art and culture meet to offer visitors historical views of the city: the Etruscan Arch, the Roman aqueduct, the medieval city walls and the world-renowned University for Foreigners. 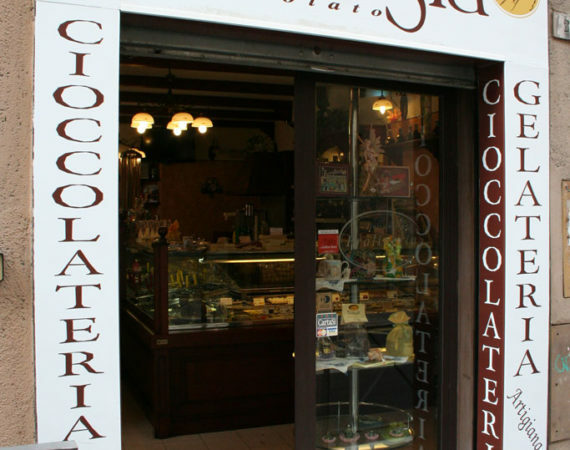 In 2002, not long after the opening, Giacomo’s son Giordano joined the team. 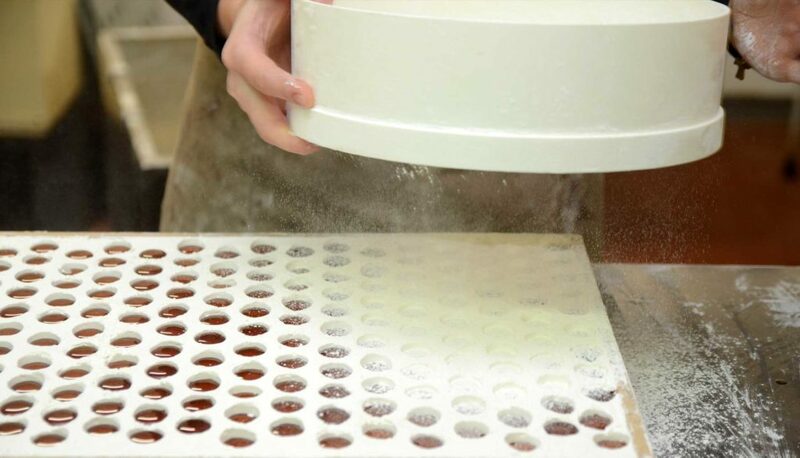 When he first entered the atelier, Giordano knew nothing about chocolate processing. 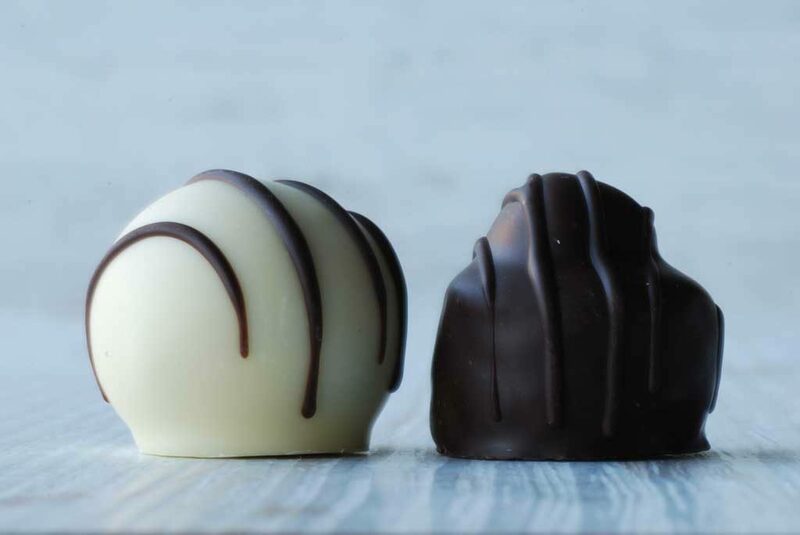 It was Giacomo, his father, who passed on all the secrets to making chocolates the way they were made fifty years ago, one by one, making the various pieces to assemble and so create a uniquely perfect product. And it is thanks to Giordano’s entrepreneurial spirit that in 2010 the scent of chocolate spread to via Bonazzi, and in a narrow street off Corso Vanucci a new boutique came into being, a little gem where the flavour of chocolate joins that of coffee, tea and biscuits. In 2016 another dream came true. 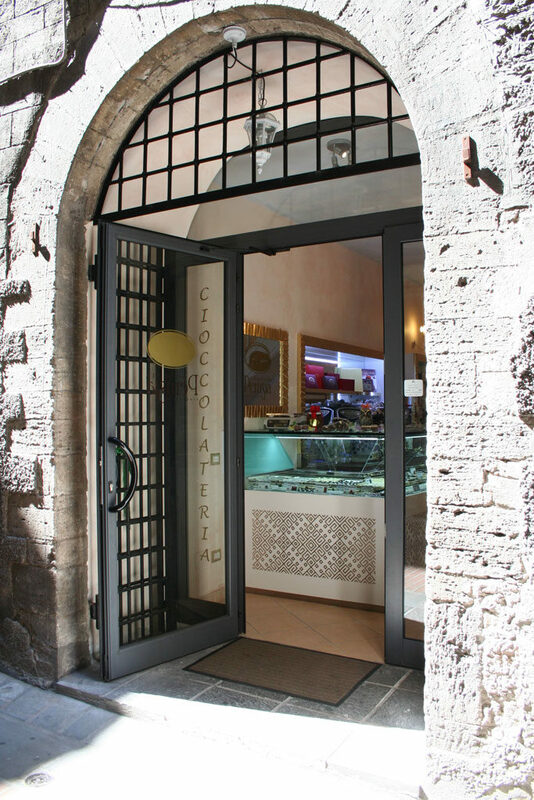 On 20 February, in fact, in via Piccolpasso, on the southern side of Perugia, splendid premises, with the only open-view atelier in central Italy, were inaugurated. 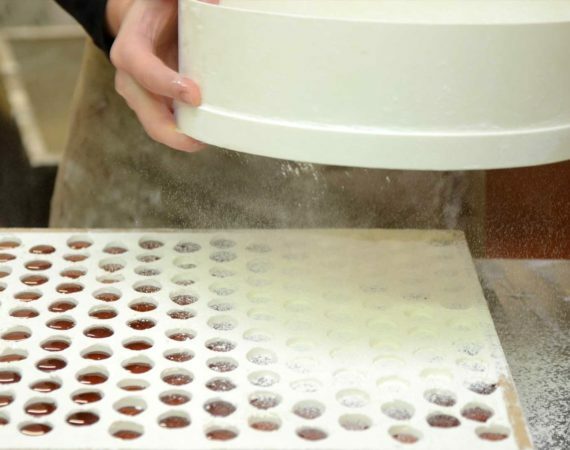 For the Mangano family, the sweet creations of Augusta Perusia have nothing to hide. 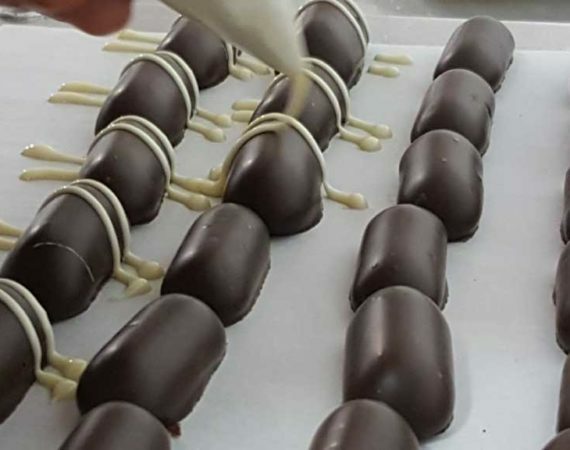 Quality, tradition, an appreciation of the raw materials, innovation and creativity continue to be the values underlying all the creations of Cioccolateria Augusta Perusia. 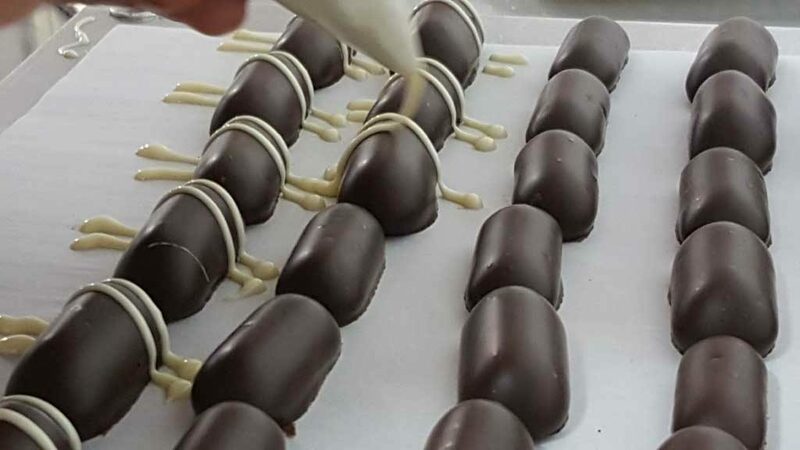 Wisely selected ingredients, heritage recipes that few others remember and a passion for chocolate lead the Mangano family to continually research and experiment new flavours and new forms for their sweet creations. 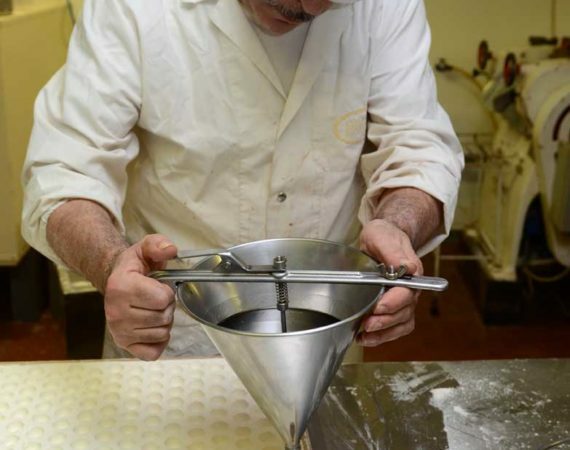 Every day in the Augusta Perusia shops you can enjoy the unique taste of a 100% handmade artisan product.